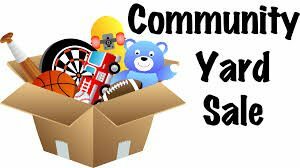 If interested, please email us your home address to be included on the map that will be created showing all yard sale locations in our neighborhood. The Font Hill Neighborhood Association will be paying for the ad in Howard County Times again this year! The yard sale announcement will also be posted on Craigslist and several yard sale websites. Please help us advertise by placing a sign at the end of your street to mark the sale. If you have any questions, please let us know.